The main purposes of this study are to investigate citizen adoption of e-government services in Jordan and to explore factors affecting the level of adoption of e-government services. Importantly, this study aims to develop a conceptual framework that is based on previous literature of Technology Acceptance Model (TAM) in order to examine the relationships between certain factors (government trustworthiness, service quality and citizen satisfaction) and citizen adoption of e-government services. A self-administered questionnaire was used to capture data from 356 Jordanian citizens across the country randomly. The findings indicate that perceived usefulness, perceived ease of use, citizen satisfaction and trustworthiness are significant predictors of the Jordanian intention to use an e-government service. The results also showed that the service quality dimensions: responsiveness, reliability, and empathy have significant impacts on the citizen satisfaction. The study has made significant contributions to the body of knowledge at academic and practical levels as an important exploratory study that was conducted in the context of Jordan, a developing country with genuine need for more research works on e-government issues. In addition, this study provides some valuable insights into the performance and adoption of e-government in Jordan that could help government agencies to improve the effectiveness of their services. The rapid growth of the Internet has had a transformational effect on society. It has enabled many governments around the world to efficiently deliver information and services to their stakeholders: citizens, businesses, employees and government agencies. E-government development very often aims to improve public service delivery capability, as well as a public administration’s governance, transparency and accountability (Chatfield & Alhujran, 2009). Davison et al., (2005) argue that e-government became an opportunity to rethink how the government provides services, and how it links them in a way that is convenient for a user’s needs, not only to put forms and services online. According to Bassanini (2002) e-government is also a mean of empowering people, changing the way people access public services, by promoting transparency and accountability in governmental action of acquiring knowledge (Al-shqairat & Al tarawneh, 2011). However, despite the governments' growing investment in electronic services, at both national and local government levels, e-government research results present evidence of low-level citizen adoption of e-government services (Al-Jaghoub et al., 2010; Al-shqairat & Al tarawneh, 2011; Belanger & Carter, 2008; Choudrie & Dwivedi, 2005; Hamner & Al-Qahtani, 2009; Fu et al., 2006; Kumar et al., 2007; Lin et al., 2011; Wang, 2003). Citizens are still more likely to prefer the use of the traditional methods (e.g. 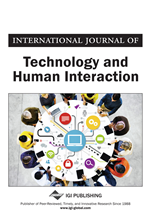 in-person visits, phone calls) to interact with their governments (Belanger & Carter, 2008). Due to this prominent problem, several researchers, such as Gilbert et al., (2004); Gupta et al., (2008); Fu (2006); Kumar et al., (2007); and Tung and Rieck (2005) suggest the need for more research in the area of e-government to help governments improving their understanding of the issues that influence citizen adoption of e-government services.